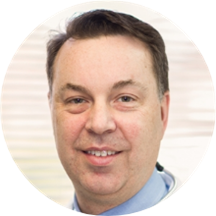 Victor Gorloff, MD, FCCP, is an expert pulmonologist and critical care specialist. Dr. Gorloff is board-certified by the American Board of Internal Medicine, specializing in critical care medicine and pulmonary disease. He is a member of the American College of Chest Physicians. He earned his medical degree from Rutgers, the State University of New Jersey. Dr. Gorloff completed his intership and residency at Rhode Island Hospital. Dr. Gorloff then continued his training by completing a fellowship at Memorial Sloan-Kettering Cancer Center. Dr. Gorloff believes healthcare is a partnership between the doctor and the patient. Dr. Gorloff is fluent in Russian. Dr Gorloff was great. Very caring.